Pre-clinical medicine the London School of Medicine for Women, clinical training at the Royal Free Hospital in London. Smith worked at the Elizabeth Garrett Anderson Hospital after qualifying as a doctor. In 1943 she moved to Oxford, where she worked in the peripheral nerve injury unit, and under Sir Hugh Cairns as a consultant neurologist. Smith was a pioneer in the use of intrathecal penicillin in the care of pneumococcal meningitis. Her management techniques gave her unrivalled success rate in treating patients, and she gained international renown, establishing a world-leading tuberculosis-meningitis unit at the Churchill Hospital. In 1959 Smith travelled to Morocco on behalf of the World Health Organisation to investigate an epidemic of paralysis, which was traced to contaminated cooking oil. She was appointed Honorary Consultant Neurologist to the Army's specialist neurology unit at Wheatley Military Hospital. 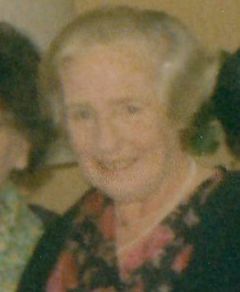 Smith was appointed an OBE in 1962.